This tower of crystal is pure beauty. Your engraving is etched onto the flat front of this grand shelf piece while the premium facets shimmer in the light. 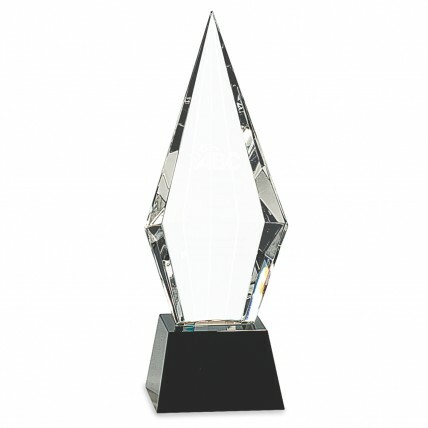 The Black Base Obelisk Crystal Trophy awards have a black crystal base that holds up your choice of two sizes. A blue velvet lined presentation box is included. Picture this light-catching tower of premium crystal on the desk of your most valued employees. Two sizes to choose from and FREE etching!